How to build a serverless contact form on an Amazon S3 static website with AWS Lambda, Amazon API Gateway, and Amazon SES. 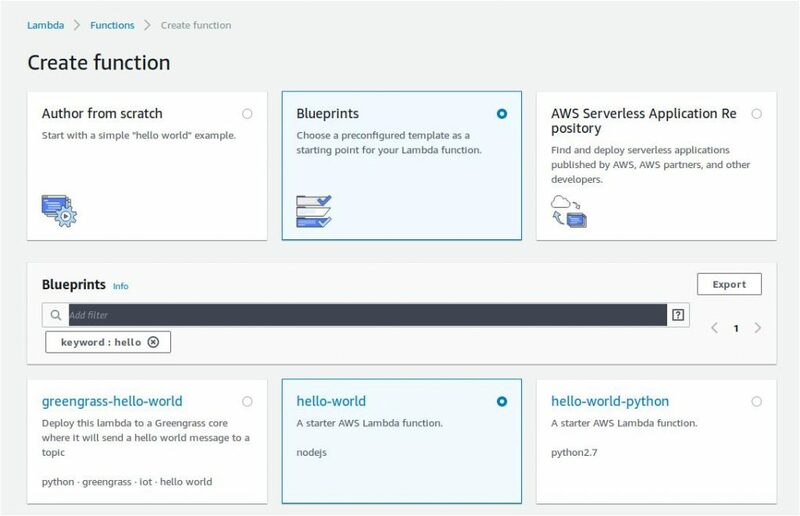 This simple tutorial shows the basic steps to build a serverless contact form on an Amazon S3 static website. It includes a front-end HTML contact form using Bootstrap CSS and a serverless backend for the HTML contact form using an AWS Lambda function. The Amazon API Gateway HTTPS-based endpoint and Amazon’s Simple Email Service (SES) is the magic sauce. After following these steps, you’ll have a modest knowledge using Amazon’s AWS Cloud Platform and its services — AWS Lambda, Amazon API Gateway, and Amazon SES. You can build fast, low-cost serverless contact forms for your Amazon S3 static hosted sites without needing to manage any servers. 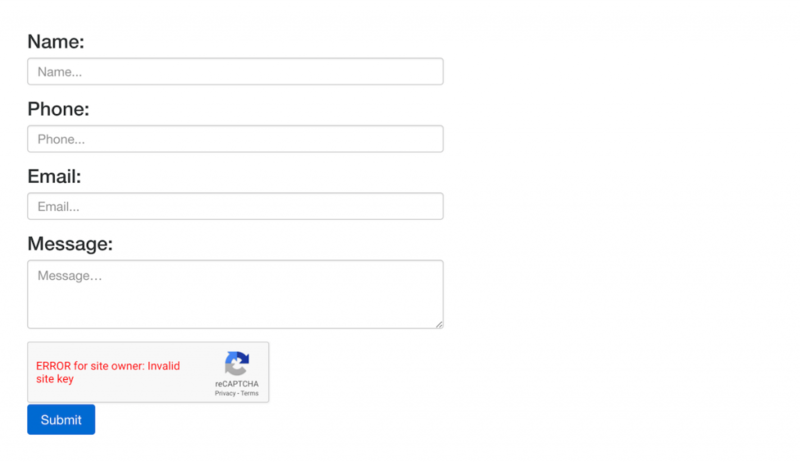 Let’s get started with how to build a serverless contact form! To send emails via AWS SES, you first need to verify an email address which will be used to send the emails. Follow the steps to setup an email address with Amazon’s cloud-based email sending service. Navigate to SES in the AWS Console. 1c. Enter the email address you would like to use. 1f. Click the link in the email to confirm your email address. 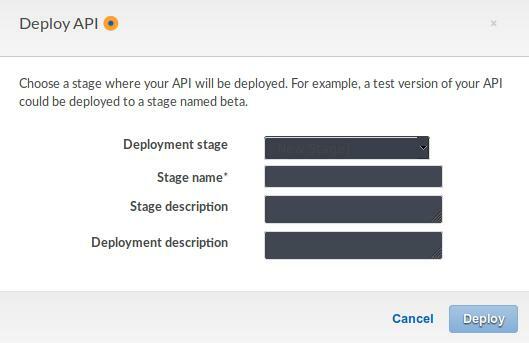 The IAM role (AWS Lambda execution role) you now create will be associated with the AWS Lambda function covered in the next step. 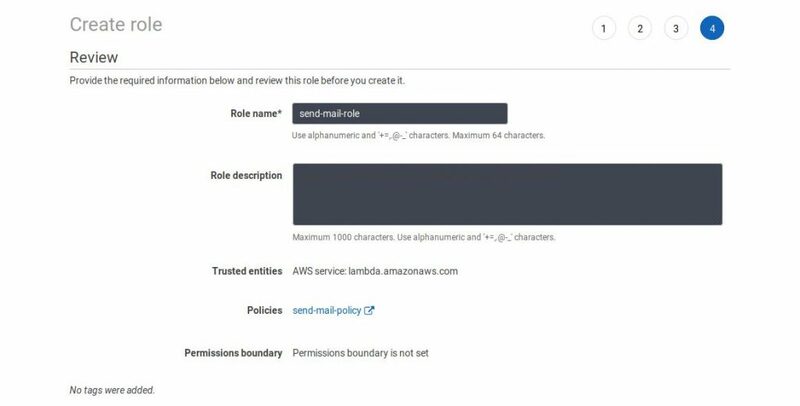 The permissions you grant the IAM role will determine what AWS resources the AWS Lamba function has access to. 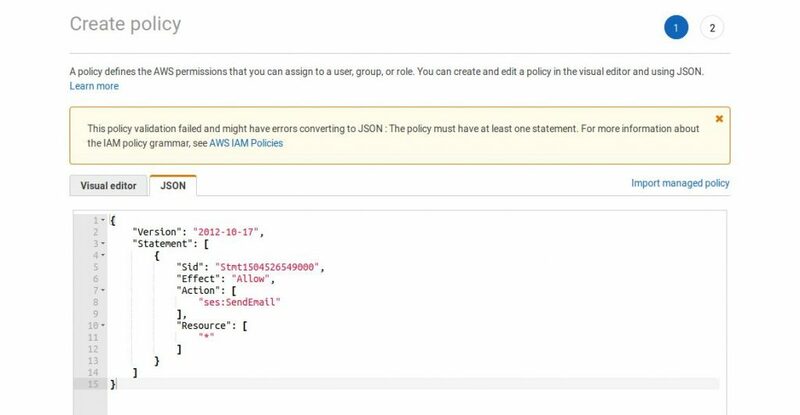 Follow the steps to create the role and attach the policy giving access to the AWS SES. 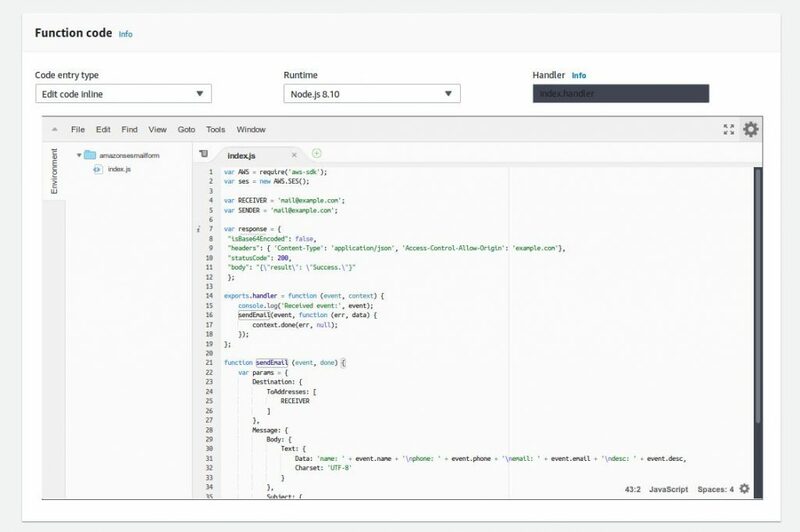 Navigate to IAM in the AWS Console. 2b. Select type > AWS service. Select service > Lambda. Click Next. 2h. Click the refresh button to ensure the policy you just created is found. Search policy name and ensure its ticked before you click Next. 2i. Skip the optional tags section and click Next. Enter a Role name and check to ensure the policy is attached before you click Create Role. 4h. Select the Methods dropdown under the resource and choose POST and click the tick. 4j. Now grab your Restful API URL from the “stages” tab which we will use for the HTML contact form. 5a. Copy and insert the code below into your S3 static website’s HTML contact page. Make sure you have the necessary styles and scripts in the <head> section to load Bootstrap and Google ReCaptcha. 5b. You should now have something that looks like this. 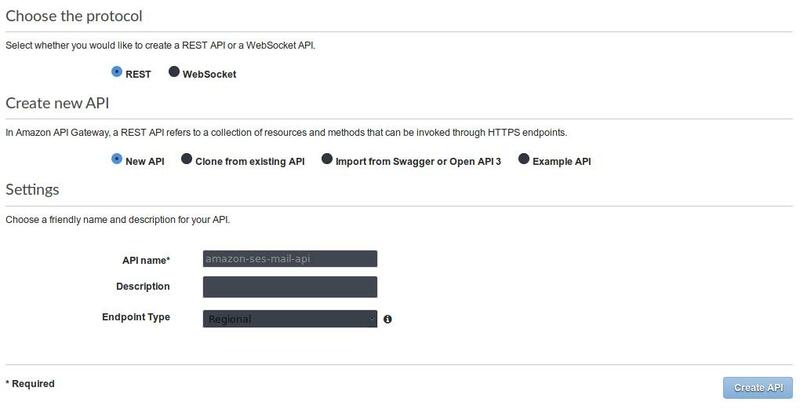 Using the AWS Console, we’ve shown how to build a serverless contact form for a static site homed on Amazon S3 with AWS Lambda, Amazon API Gateway, and Amazon SES. We finish with a fully functional serverless front-end HTML contact form (using default Bootstrap CSS) for our website. You can now use contact forms with increased speed, lower cost and remove managing servers. Copyright © 2019 Secnix Systems Limited. All Rights Reserved.